Watermelon fruit also known as Citrullus Lanatas fruit has a smooth hard rind, usually green with dark green stripes or yellow spots, and a juicy, sweet interior flesh, usually deep red to pink, but sometimes orange, yellow, or white, with many seeds. The fruit can be eaten raw or cooked and is made up of only water and sugar. Watermelon seeds are loaded with nutrients including fatty acids, essential proteins and lots of minerals. It is actually considered a nutrient dense food, a food that provides a high amount of vitamins, minerals and antioxidants for a low amount of calories. 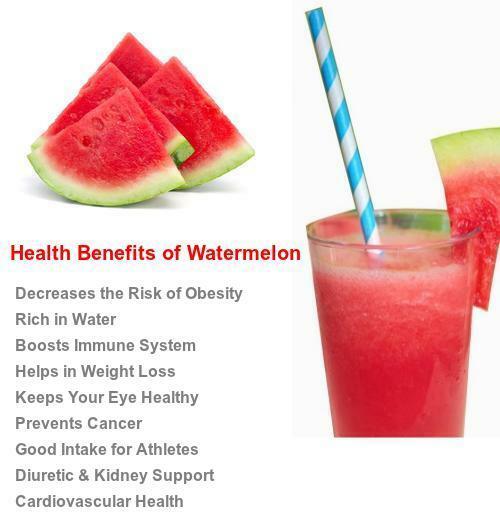 Let’s see amazing health benefits of watermelon. Watermelon provide a wealth of important nutrients, prostate health, sexual health and overall health benefits for men. Watermelon may be a natural Viagra, says a researcher. That’s because the popular summer fruit is richer in an amino acid called citrulline, which relaxes and dilates blood vessels much like Viagra and other drugs meant to treat erectile dysfunction. The L-citrulline content in watermelon can be helpful in reducing muscle soreness and in supporting recovery from exercise and exercise performance. L-citrulline is also available in supplements for men that help with sexual health and energy. 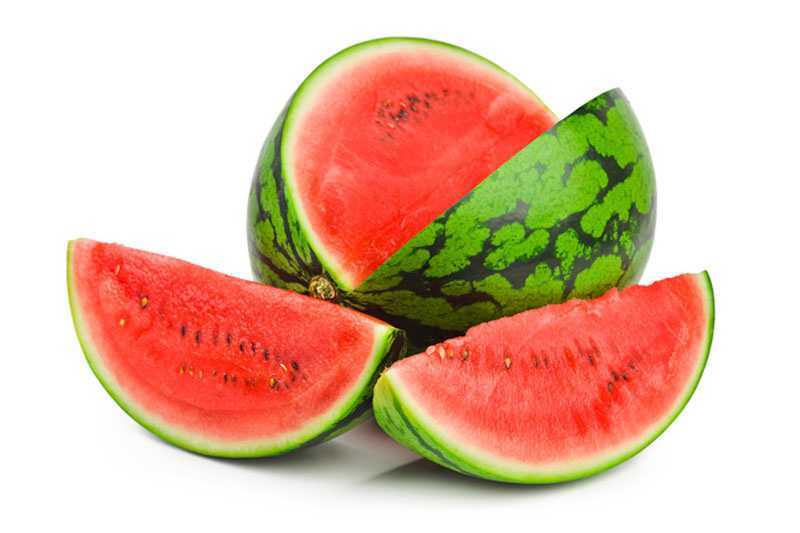 In addition to the blood flow increasing abilities of citrulline-arginine amino acids found in watermelon, it is also rich in antioxidants from the lycopene (found in the natural red pigment), excellent source of vitamin A (beta-carotene) and vitamin C. Watermelon also contains vitamin B1 (thiamin), B6 (pyridoxine), and the all-important potassium and magnesium which are necessary for a healthy prostate. Include watermelon in fruit salads, enjoy it as a snack or for dessert and reap the benefits of one of the best fruits for men’s health. watermelon decreases the risk of obesity and overall mortality, diabetes, heart disease and promotes a healthy complexion and hair, increased energy, overall lower weight. Watermelon fruit is 91% water, contains 6% sugars, and is low in fat. Watermelon also contains thiamin, riboflavin, niacin, vitamin B-6, folate, pantothenic acid, magnesium, phosphorus, potassium, zinc, copper, manganese, selenium, choline, lycopene and betaine. According to the National Watermelon Promotion Board, watermelon contains more lycopene than any other fruit or vegetable. Watermelon Reduces Body Fat. The citrulline in watermelon has been shown to reduce the accumulation of fat in our fat cells. Citrulline is an amino acid which converts into arginine with help from the kidneys. The vitamin A in watermelon keeps eyes healthy and boosts immunity by enhancing white blood cells infection-fighting powers. Watermelon is rich in antioxidants such as lycopene which contains twice the amount found in tomatoes. Watermelon also contains vitamin C, A. These compounds play an active role in the fight several cancers such as breast cancer, prostate cancer, uterine cancer, lung cancer, colorectal cancer by protecting cells from free radicals damage to vehicles. Watermelon is a natural diuretic which helps increase the flow of urine but does not strain the kidneys. Watermelons help the liver process ammonia (waste from protein digestion) which eases the strain on the kidneys while getting rid of excess fluids. Watermelon is a favorite of athletes. Drinking watermelon juice prior to intense physical workouts aids in reducing athletes’ heart rate in addition to decreasing next-day muscle soreness. 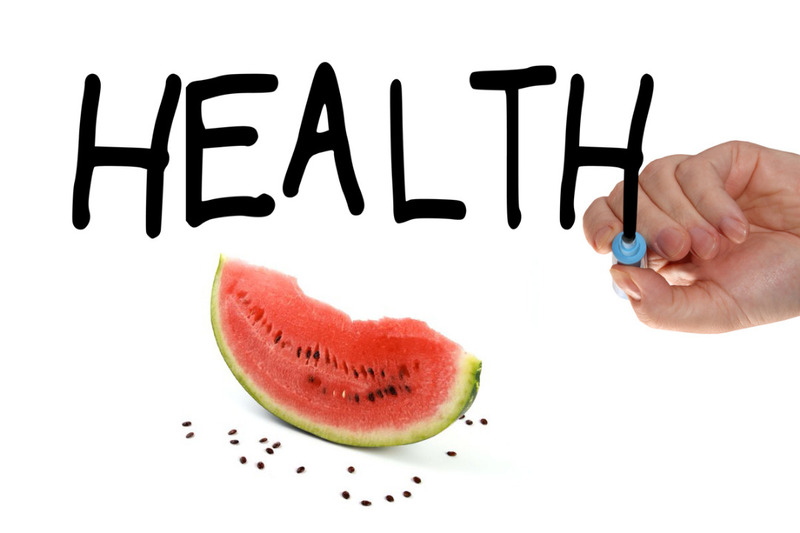 Health Benefits of Watermelon in improvement of cardiovascular health. Postmenopausal women who take watermelon extract supplements showed improved cardiovascular health. Some of the popular methods to have this fruit in your diet is eating watermelon raw, drinking watermelon juice, cut and use it in salad preparations, cake and recipes.